The Mounted Command is located in a remarkable facility within Roger Williams Park through an open space grant. The unit is currently comprised of four dedicated police officers and six civilians. These members provide superior care for our horses and prepare them daily for their patrol duties. The Mounted Command is part of the Uniform Division, Patrol Bureau. The unit proudly serves the City of Providence, becoming the police department’s most successful community relations tool. The officers and the horses in this unit regularly patrol the city streets, provide crowd control for large-scale events and attend community happenings at local schools, elderly centers, parades and ceremonies, where they foster positive relationships. The Mounted Command has received numerous awards and commendations throughout the years. While this unit and facility are funded through the City’s fiscal budget, the horses are acquired through the generous sponsorship received from the members of the community and the citizens of Rhode Island. In order to ensure that we have the best police horses on patrol, we carefully vet out each horse for their temperament and bravery. Each horse and their officer undergo vigorous training in proper methods of mounted patrol,crowd control and ceremonial functions. The Mounted Command takes great pride in the work that their horses provide the community and invests in the best training and care for the herd. The purchase of horses and continuous training is funded through generous donations from the public. After proudly serving the City of Providence and protecting its citizens, the horses are retired to forever homes where they can relax and enjoy greener pastures. The Mounted Command facility is open to group tours Monday through Friday by appointment and regularly welcomes classrooms from throughout greater Providence and Rhode Island area, as well as Scout Troops and 4-H clubs. Anyone who would like to support the Mounted Command with a donation can do so by contacting the unit at 401-243-6042 or making a check payable to City of Providence, Mounted Command. 1000 Elmwood Ave, Providence RI 02907. Horse donations may be tax deductible. Perk (“Scotty”) was born in 2008 and is a 16.3 HH Percheron/Standardbred cross. He was donated by Nancy Rankin Scarton in memory of Margaret “Meg” Rankin in 2016. Charlie was born in 2012 and is a 17.1 HH Clydesdale. He was donated by Nancy Rankin Scarton in memory of Maragret “Meg” Rankin in 2016. HH Percheron. He was donated by the fourth generation of the Nardolillo Family in 2016. Adonis was born in 1993 and is a 16.1 HH, Draft cross gelding. He was donated by Hermes Investment Inc. of East Providence, RI in 1999. 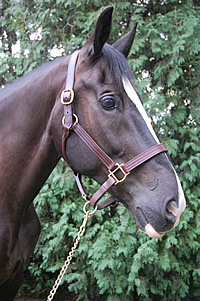 Arlen was born in 1994 and is a 16.3 HH, Draft cross gelding. He was donated by Arlen Corporation of Providence, RI in 1999.